Content, Content, Content… it’s the new buzzword in marketing circles nowadays. Since Social Media isn’t living up to its claims for many businesses, they are on the hunt for the new “magic bullet”… which now happens to be “Content Marketing.” Is it the new found Promised Land for marketing? Well, it’s pretty simple. 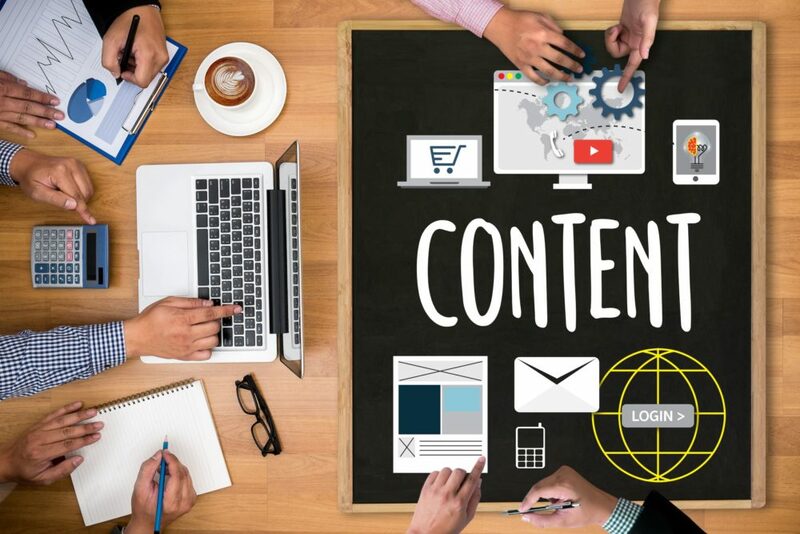 Content marketing is about creating value-adding, useful and error-free content to the readers, often building the foundation for a strong digital marketing project. Content is more and more important as Google, and other search engines are placing more emphasis on value-adding to their users, along with on-site user experience. These are easily measurable and traceable from Google’s collection of software, from Google webmaster tool to Google Analytics. To develop effective and engaging communications, be sure to keep the following best practices in mind. Content Marketing often fails because people quit. Unlike balanced scorecards, key performance indicators, mandatory reporting of quarterly earnings, and other metrics which reflects or validates a marketing system that is already in place, the results of content marketing in the form of conversions isn’t immediate and to expect that would be impractical. Businesses must have a futuristic outlook in this regard. Consider the content format that is ideal for what you are communicating. Would it be more useful as a blog post or an infographic? Alternatively, maybe a checklist would be better. Find out which format you can clearly communicate your message and which format would your audience most likely prefer? If you have a lot of stats or data to showcase, an infographic could be best. If you’re showing people the steps they should take to get something done; a guide might be the most suitable option. Perhaps you’ve been creating many blog posts and checklists of late. Your audience could find it useful to watch some podcasts and videos. Once you come up with a publishing schedule, it can be tempting to fill up your calendar with lots of posts straight away. And while this might be possible if you have a big team to contribute to the writing and editing, it’s best to focus on quality more than quantity. Not only does producing a high volume of posts make it difficult to keep up with your strategy, but it’s also difficult to come up with exciting topics consistently. Sadly, many companies resort to writing about topics that have been covered by hundreds of other websites, which doesn’t provide anything new or valuable to their readers. You might think that a topic is an excellent choice if other websites wrote about it, but if it’s already been covered in detail, you don’t want to repeat what other writers have already said. Pick topics that your prospective clients want to learn about and present your unique viewpoint on the subject. Generating evergreen content is a good strategy for boosting Google search rankings, as well as keeping your website Fresh and Updated. A chunk of information will often do well in Google while it’s still fresh but will fade afterward. It doesn’t build long-lasting traffic. On the other hand, a more useful piece that incorporates valuable insights and advice will attract the kinds of engagement metrics and links that Google is on the hunt for, and will most likely do well in the search rankings over the long haul. If you can get this right, it’s a good circle, as better search rankings mean more visits to the fresh content, which then translates to more links, better rankings and so on. Examine your content to make sure that it’s not more complex or longer than it needs to be. Try and explain things briefly and in a way that’s as easy to understand for as many people as possible. See that you avoid clichés and jargon. It’s also essential to create your content with conciseness and clarity in mind, and then in the editing process get rid of any redundancy and unnecessary words. To create concise content, confirm that you’ve laid out your objectives for the piece before writing it, as well as did any required research beforehand and decided on an outline. An email newsletter offers numerous ways for readers to interact with your business. Whether it’s answering a poll, entering a contest, or downloading a white paper, a newsletter encourages readers to continue the conversation with you. In addition to giving them valuable information, the newsletter gives you feedback on what issues and stories are crucial to your prospects and clients. You can call that a win-win: both parties enjoy advantages of an email newsletter. Most content marketers have realized the importance of an email newsletter in their marketing mix. Its distinctive features, like interactive features and email delivery, make a newsletter valuable and versatile. Collaboration is a great way to make your content marketing more engaging and more effective – and the best part is, it’s free. Consider pairing up with a colleague or business partner and writing a series of blog posts together, or even reach out to another company and ask if they’d be interested in hosting some of your content as a guest blog. Not only will this open your business up to new potential customers, but it’ll help generate backlinks and get the word out about your brand. And we all want to increase brand exposure, right? Great content is more significant now than ever. To be prosperous and accomplish your content objectives, you need to understand how to create compelling content that resonate with your audience, example is about us page, such as this one from the black and white group. Focus on these seven things and ONLY these seven things and you will be leaps and bounds ahead of the herd. Good luck!